One of the most important factors in the success of cosmetic surgery is the surgeon you select. That is why it is important that you know the experience and qualifications of your Cosmetic Plastic Surgeon. 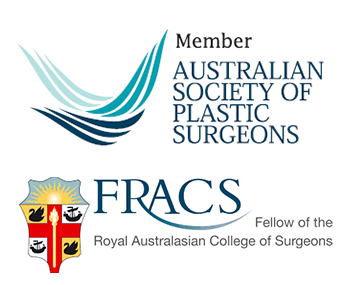 A Cosmetic Plastic Surgeon will have a fellowship of the Royal Australasian College of Surgeons and be a member of the Australian Society of Cosmetic Plastic Surgeons. You can contact the Australian Society of Cosmetic Plastic Surgeons to confirm qualifications on: 02 9437 9200. The decision to undergo any surgery is not to be taken lightly. Information and knowledge is essential for any patient, so that their choices are well informed. Prior to any surgery, Dr Scamp has a minimum two consultations with each patient. This is his preferred method so that he may discuss at length the best option for you. We closely monitor our patients throughout their entire Surgical journey from their initial consultation through to post operative care. 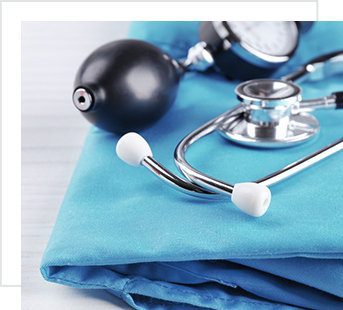 Dr Scamp will give you all the information you need to prepare for surgery and recovery. You will be asked to cease smoking for six weeks prior to surgery. Certain other medications and supplements are to be avoided two weeks prior to surgery, such as aspirin, red wine and vitamin E. Following your procedure, there may be restrictions to your activities for several days to several weeks. Plan your business and social activities to allow sufficient time for recovery. Consultations with Dr Scamp are $175 and includes two visits with him, a $75 deposit is required at booking. At your consultation, Dr Scamp will make his recommendations and discuss the procedure, risks & complications and also important information that will help you to prepare for both before and after your surgery. Dr Scamp may utilise the Vectra 3d image machine which takes a photo of you then projects an image of what you could possibly look like with the end result, even before your surgery for Rhinoplasty and Breast Procedures. * These images will be emailed to you after your first consultation. After you meet with Dr Scamp the Surgical Coordinator who, based on the outcome of your consultation with Dr Scamp will be able to prepare a written financial quotation for you to take away. Your quotation will be inclusive of the surgeon’s fees, the anaesthetist’s fees and also the hospital fees, taking into account any applicable rebates from Medicare or your private health fund that may apply. Naturally after you leave you will think of more questions, and after you have time to read over and consider all of the information we will book you in for your second consultation whereby you will again meet with both Dr Scamp and the Surgical Coordinator. This allows an additional opportunity for you to touch base so that when you leave you will feel both comfortable and informed. Dr Scamp performs his consultations out of the Main Beach clinic and operates out of Pacific Private Day Hospital and Gold Coast Private Hospital for in patient procedures. *Please note this is a guide only. After your Surgery, you are able to contact Dr Scamp directly at anytime with any concerns or questions as well as our Post Operative nurse contactable inclinic each day. When presenting for your Post Operative appointment inclinic following your procedure you will see Dr Scamp to check on your recovery and make your next review appointment which will continue periodically so that Dr Scamp can monitor your healing progress and results. Our commitment to patient care is represented by the relationship that we form with our patients whereby they are encouraged to contact our rooms at any step of their journey with any questions or concerns that either the Surgical Coordinator, Nurse or Dr Scamp can address. 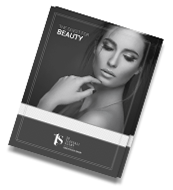 Dr Scamp’s guide to Cosmetic Plastic Surgery includes information pertaining to patient expectations. Dr Scamp likes to ensure that his patients understand that there can be no absolute guarantee with any surgery. The real aim of surgery is improvement, and patients must realise the limitations of what is possible with cosmetic surgery. Dr Scamp’s professional, straight forward and direct style reflects the emphasis he places on clinical safety and outcome, being at the forefront of his commitment to patients under his care. He strives for the best standards in patient education, especially in regard to risks, expectations, limitations and realistic recovery periods for procedures. Through Dr Scamp and with the full support of his highly skilled and dedicated nursing and administrative team, all patients receive unparalleled standard of care before, during and after their surgery to ensure that they feel comfortable and confident throughout their journey with us.